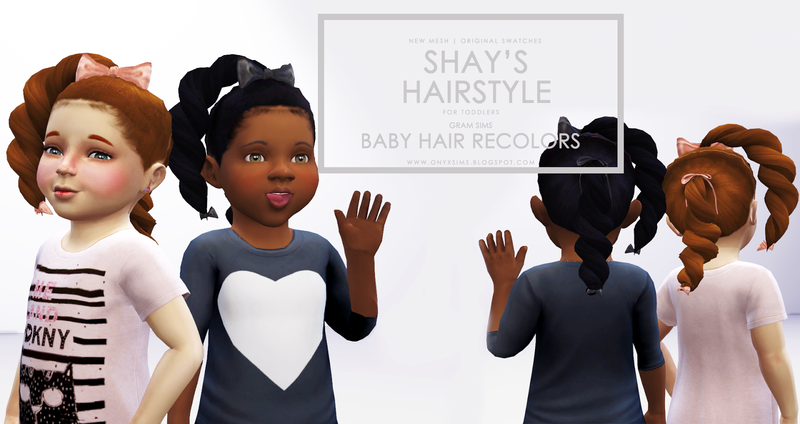 My second hair now available for toddler girls. You need the original child version which can be found here for both the hair and bows to show up. I also did some matching recolors of Gram Sims' Baby Hair. You will need to download Gram's baby hair for mine to show up as well.